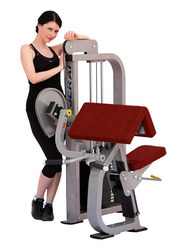 The Bicep equipment that we put forth to our clients is developed using advanced technology facilitated by us. These machines offer convenient and smooth operations for a longer period of time. 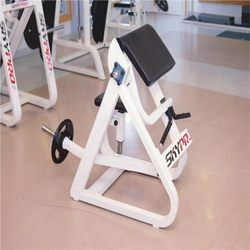 Apart from that, this machine helps in shaping, strengthening and forming a good shape of the arms and biceps. - Square Tube:50*100mm, 3mm thick. We are offering Aerofit Biceps Curl Af-5005 to our client. - Rubber Coated weight Plat for smooth & Souund Leos working.